Wake Forest University’s bands have a rich history full of change and growth. 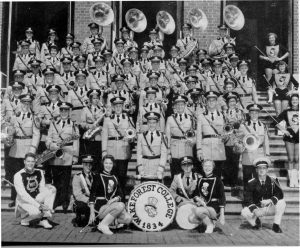 In 1927 on the Wake Forest College campus in Wake Forest, North Carolina, the band broke away from what was then known as the Glee Club. 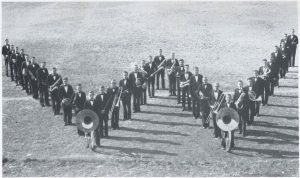 In September 1927 alumnus B.T. 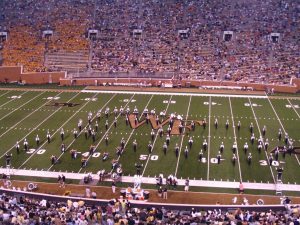 Ward generously donated and fund-raised enough support to begin the Wake Forest Band and band practices began in October of that year. 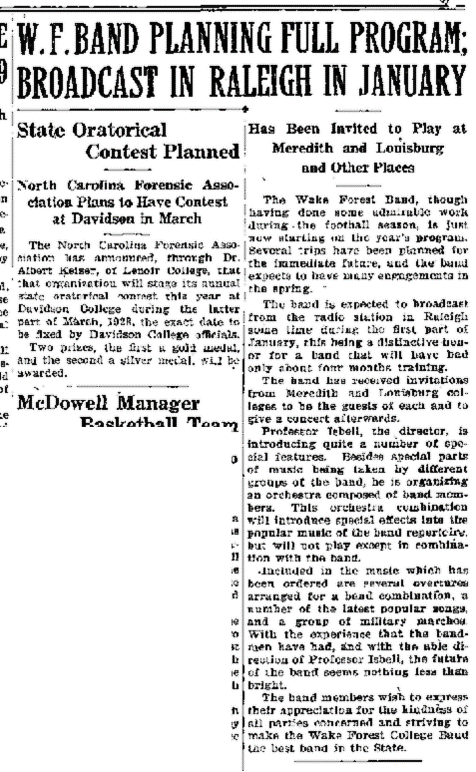 By November, the band became a regular fixture at football games and festivals throughout North Carolina. 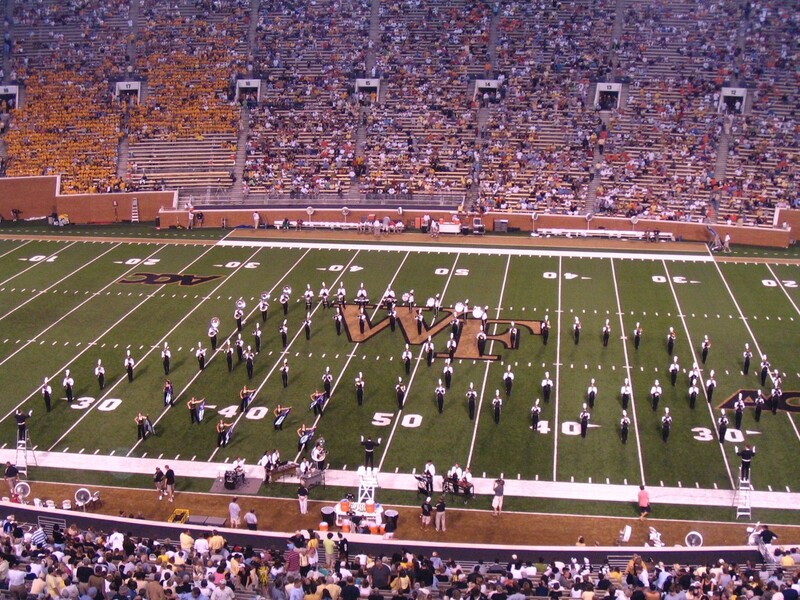 Since moving to Winston-Salem, North Carolina in 1956 along with the rest of the college, the Wake Forest University bands have grown in both size and stature. 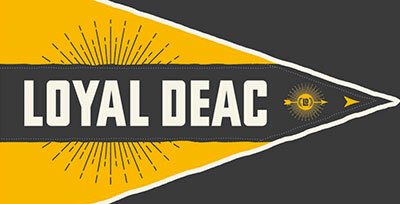 Our traditions and passion for the Demon Deacons remain strong today in the Spirit of the Old Gold and Black (SOTOGAB). 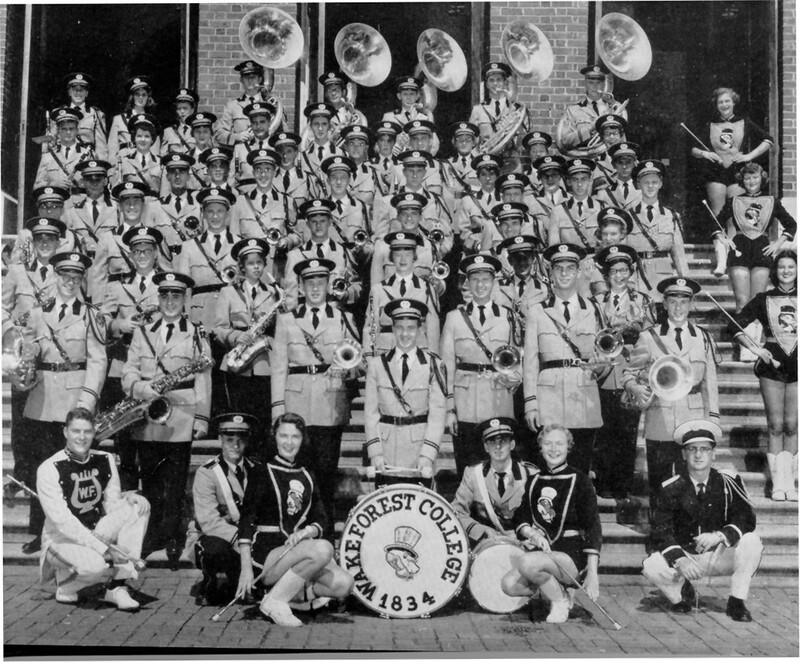 In 1982, Barbara Trautwein, affectionately known as “Mzeztee”, arrived at Wake Forest to teach general music education and was later appointed Director of Bands in 1985. She held this position for 2 years and in that time, changed and strengthened the program immensely. Mzeztee is responsible for the current arrangement of “O, Here’s to Wake Forest”, our Fight Song, and “Dear Old Wake Forest”, our Alma Mater. Additionally, she created the first Basketball Pep Band for Women’s basketball games and has been a mentor and advisor to SOTOGAB for numerous years. 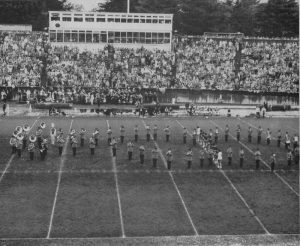 Mzeztee was also the assistant Band Director to Dr. C. Kevin Bowen after his arrival at Wake Forest as Director of Bands in 1994. Today, Dr. Bowen remains the Director of Bands and works closely with Dr. Brandon E. Robinson, the Associate Director of Bands. 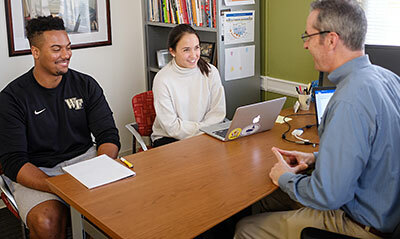 Dr. Bowen, Dr. Robinson, and Mzeztee have dedicated themselves wholeheartedly to the Wake Forest Athletic Bands and lead a professional staff that assists with the operation of SOTOGAB. 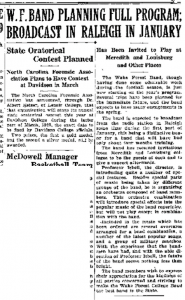 The desire to coin an official moniker for the Wake Forest University Athletic Bands began in 2007 upon the arrival of then Associate Director of Bands, Philip R. Morgan. After much discussion and consideration, the name “Spirit of the Old Gold and Black” was born and has remained ever since. 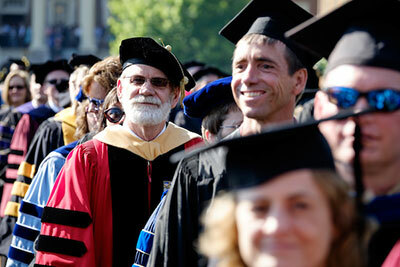 Over time, SOTOGAB has become a close-knit family of students that perform the best of music and depend on one other. 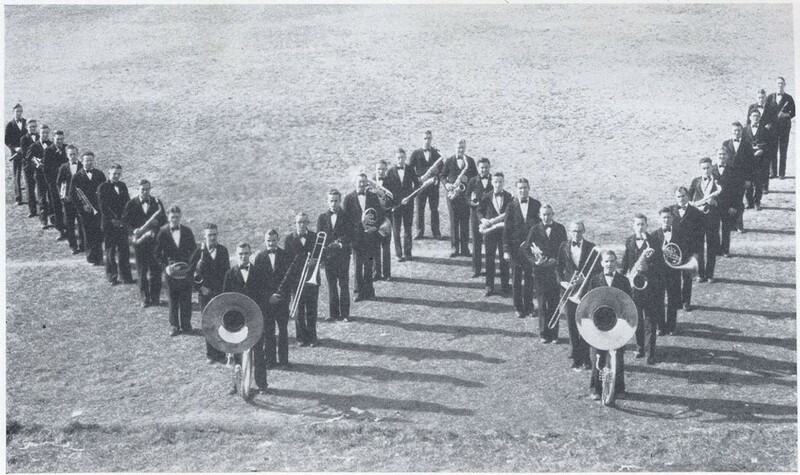 In order to continue our excellence, the Kappa Zeta Chapter of Kappa Kappa Psi, National Honorary Band Fraternity, was re-charted in 2010 after being inactive for 10 years. Kappa Kappa Psi has assisted SOTOGAB in many ways and will continue to further the band program’s progress for years to come. 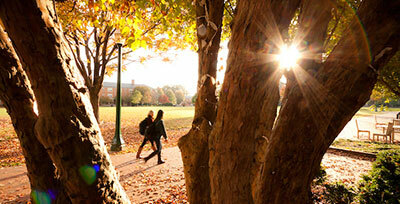 Our history and roots run deep and it is because of our students, staff, and Wake Forest family that we will continue to be unrivaled by any.